Only ships to United States from Asheville, North Carolina. Garden/Working Hands Salve if for those who wash their hands a lot, need TLC, or pampering; with the healing ingredient of tea tree oil along with lavender and rosemary essential oils. 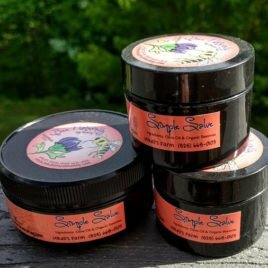 The Simple Salve is unscented and used for sensitive skin and can be used as an ointment. 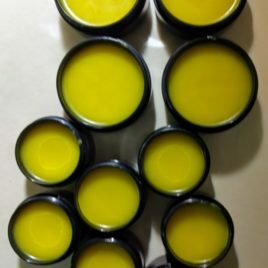 People have used the Simple Salve for Eczema and some use it in place of an ointment. 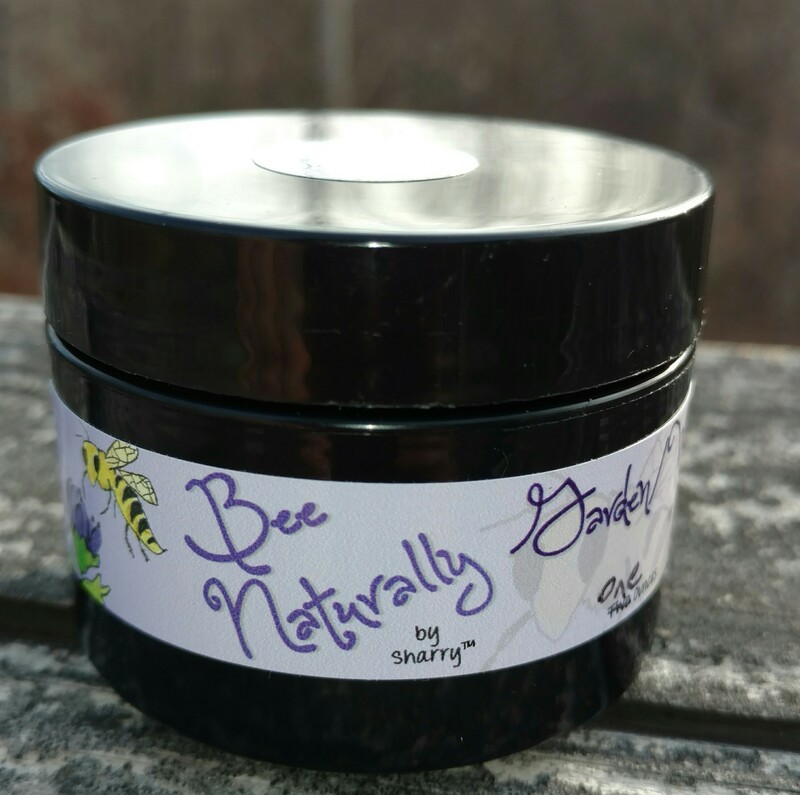 All of Bee Naturally by Sharry products are made with love and care; NEVER whipped, so a little goes a LONG way. 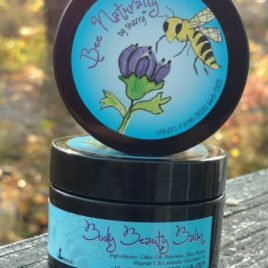 All of Bee Naturally by Sharry body butters, salves, lip balms and soaps are made in small batches with natural or organic ingredients. Essential Oils are used; no fragrances added. For custom orders, different scents or sizes, feel free to send me a message. 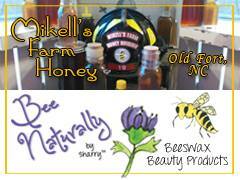 All of Bee Naturally by Sharry products are heat sensitive and melt at body temperature. Once shipped, I have no control over the temperature the product could encounter. It might melt in transit in warm weather, but don’t worry, place upright in a cool area and it will harden. It may not be exactly as it once was, but it will not affect the quality. Product shelf life is 6-12 months; recommended to use before, for peak essential oil fragrance. Fragrance may fade over time, but product quality will remain. Any lumps that may be incurred, will melt with the heat from your body. Vaughn M. Bryant, PhD. Professor and Director, Texas A&M University (October 4, 2016) I would like to compliment you on the excellent products your retail. I have been using your salves, lip balms, and soaps for several years and really do enjoy them. Not only do your soaps make me feel clean but they add a nice fragrance to the bathroom. Your salves keep my hands moist in dry weather and the lip balm prevents chapped lips all year long. Keep up the good work on these products! Vivian S. (December 23, 2016) Hi Sharry, wanted to share the miracle of your Garden/Working Hands (butter or salve not sure). Yesterday I took branches from a small pine tree that Terry trimmed so I could use them to make a Christmas arrangement for the front porch, the darn thing had tiny thorns which did a number on my hands, they were scratched and fingers swollen. Worst was my right ring finger, it hurt and broke out with small bumps. I rubbed the Garden/Working Hands on both hands at bedtime but on the right ring finger I really rubbed a lot into the skin. This morning hands were not swollen, didn’t hurt, and the right ring finger felt and looked normal. (just a few small red spots). Hands were cured from the wrath of that evil pine tree. Thanks, love the stuff! Suzie L. (October, 2016) My husband’s hands were soft yesterday for the first time since I have known him! Now, if I can get him to keep on using the hand salve. I wish you had a Tank of it and we could dip him in it. He’s had a skin problem since he was born! 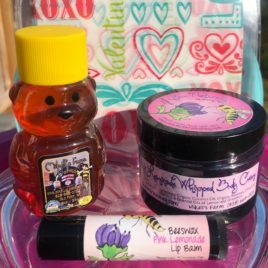 I had to take a moment to write and let you know how much I love your handmade skincare products. I love your soap and lipcare; they soothe, protect and smell great. 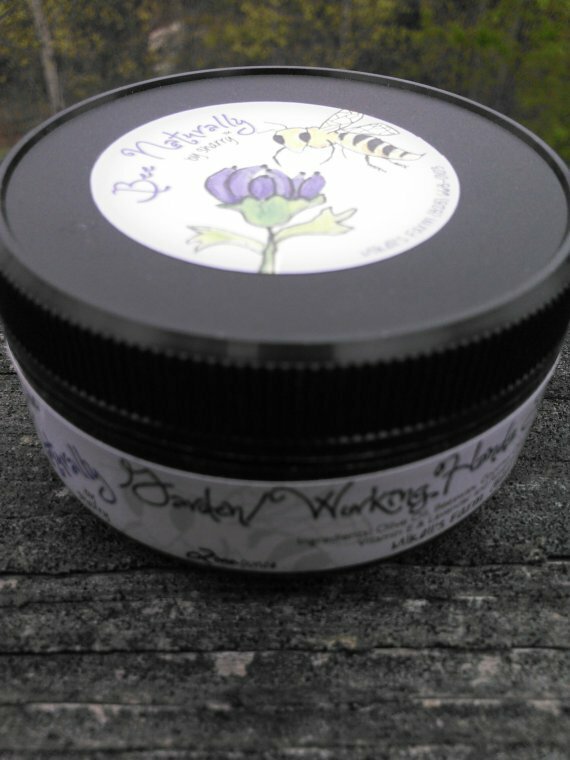 The one product I really love is your Garden ~Working Hands Salve. It’s perfect for dry, rough hands but I’ve used it for so much more. It was perfect as a winter balm on my face during icy winter hikes. It’s perfect for rough elbows and a soothing foot massage. The combination of Tea Tree, Lavender, and, Rosemary essential oils along with Vitamin E is perfect for soothing and healing . I think it’s perfect for year round use. I can feel the love you put into all your products.